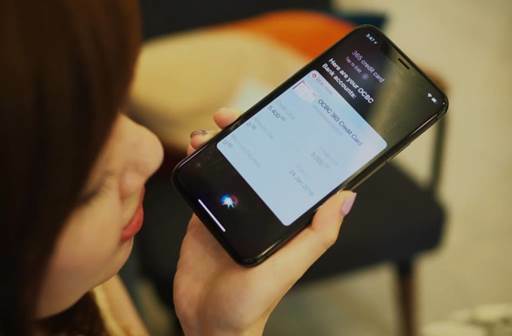 OCBC Bank says it is the first bank in Singapore to enable its customers to do their day-to-day banking and make cashless payments using just their voices. 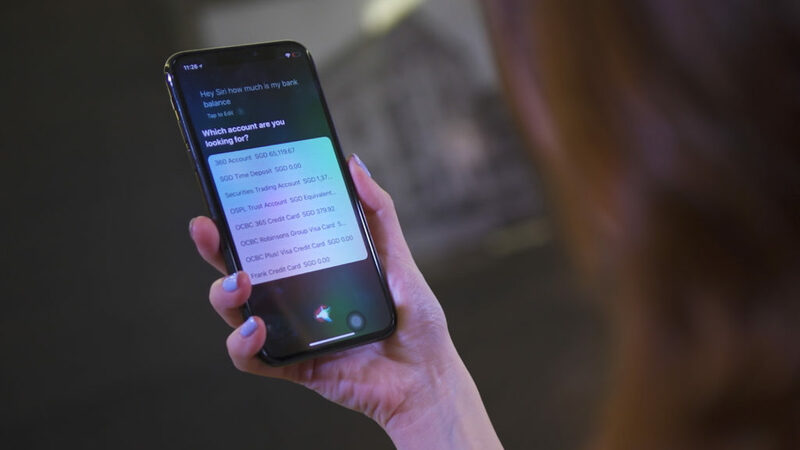 OCBC Bank’s retail banking customers are now able to check their bank account balances, outstanding credit card balances and details, as well as make instant e-payments to friends and family – using Siri, Apple’s virtual assistant. The e-payments can be made instantly to any bank account in Singapore, including bank accounts not linked to the PayNow service. PayNow is a nationwide peer-to-peer funds transfer service that enables funds transfers using mobile or NRIC numbers. 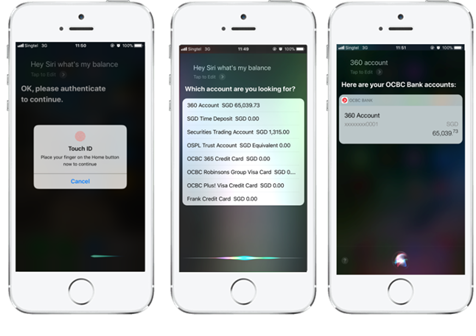 This voice banking innovation was developed by OCBC Bank’s in-house mobile developer and E-Business teams. 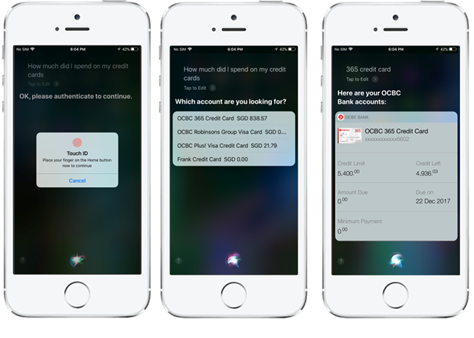 The service is available to all OCBC Bank customers using iPhone devices running at least the iOS11 software and the latest versions of the OCBC Mobile Banking and OCBC Pay Anyone apps. Authentication using facial recognition is only available on iPhone X devices. 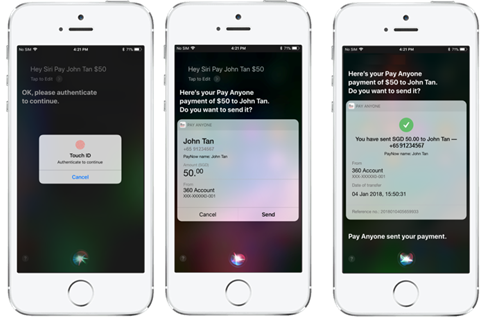 “This is the new digital – conversational, more natural and faster access to banking! 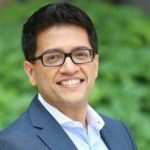 This latest service marks a major milestone in banking as it brings us one huge leap closer to making natural language voice-activated banking and payments a reality. OCBC Bank has constantly worked towards making banking seamless and embedded in our customers’ natural behaviour and interactions. OCBC Bank was the first bank in Singapore to introduce biometric authentication to access bank account details with OCBC OneTouch in March 2015, and OCBC OneLook in November 2017 on the OCBC Mobile Banking app, leveraging fingerprint and facial recognition technology. OCBC Pay Anyone e-payment amounts have grown 400% in the last year. The number of OCBC Pay Anyone users has increased more than 150% since early 2017. As Singapore ramps up its Smart Nation ambitions with e-payments as a key thrust, OCBC Bank has consistently heeded the government’s call to make payments more integrated, increasingly convenient and secure by leveraging biometric technology and the latest innovations developed for mobile devices.